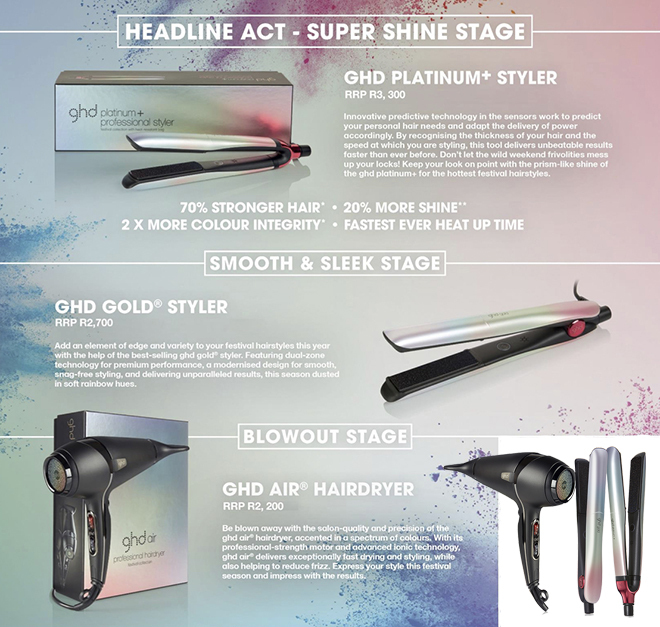 BeautySouthAfrica - Hair & Nails - The ghd Festival Collection launches today! The ghd Festival Collection launches today! ghd fan? Who isn’t?! And today you might just love them even more, as it’s the launch date of the much-anticipated new range, the SS19 Festival Collection! Inspired by the vibrant energy and carnival spirit of global music festivals, the collection, which is a kaleidoscope of colour and luminous shine, evokes a true sense of living. In addition, there’s no festival more vivid and vibrant than Pride. This year, ghd proudly supports pride all around the world to celebrate gender, sexuality, individuality & colour. Yay for progressive thinking, and other brands, please take note! ghd encourages people everywhere to make an effort & style with pride, and here at BSA, we couldn’t agree more. 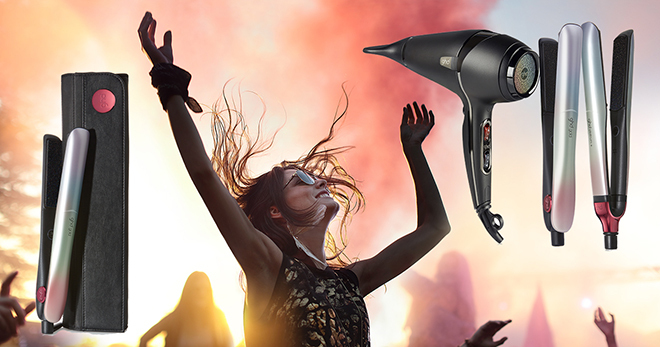 The Festival Collection is available in the finest salons and on ghdhair.com for a limited time only, launching today, 1st April 2019, until the end of May 2019. Need some festival hair inspiration? How about these gorgeous waves with braids? Hi love the natural shine my hair has after useing the ghd.